Have I ever told you how much I love gin? I fell in love with it in college and I’ve been on a mission to convert people ever since. I get strange stares though a lot, so I guess it’s their loss and more gin for me. When we get Gin in the mail I get a big grin on my face, so you can imagine how I felt when a bottle of Bluecoat Gin arrived at our door. It’s not just any gin, it’s their new barrel aged expression. 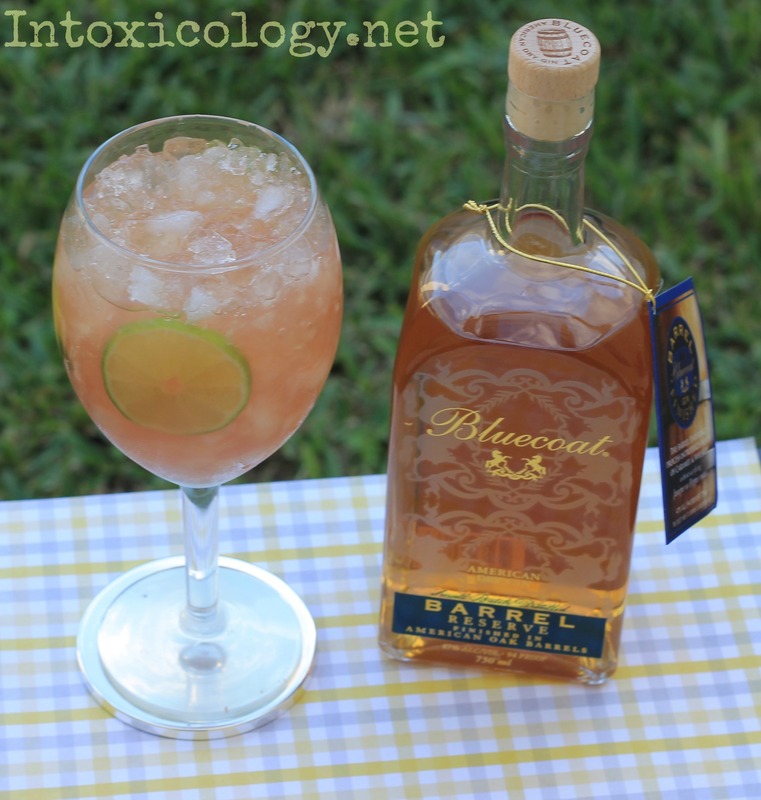 The classic Bluecoat gin aged 3 months in charred American oak barrels. Yes, I went nuts, and Yes I’m drinking some now. But, before I had even opened the bottle my mind was already racing with ideas. The brand asked us to work with their new product to create our own twist on a classic gin cocktail and I immediately thought of making one of my favorites, a Gin Rickey. The Rickey is a highball drink made from gin or bourbon that’s been around For-E-Ver. The bourbon version was the originator but by the late 1800’s the Gin version surpassed it’s predecessor in popularity. A gin aged in oak barrels is the perfect meet-me-half-way spirit to bridge the gap between lovers of BOTH versions of this drink. For fun I added a fruity twist because I think there’s nothing better with gin than fresh fruit juice. Combine your gin and lime juice in a highball glass filled with crushed ice. Top with club soda and for garnish drop your leftover lime wheels into the glass, wedging between the glass and ice. Sample of Bluecoat Gin was provided courtesy of the brand.